I am very pleased to announce that a new grandson has been born in Scotland to my son Derek and his wife Kat. 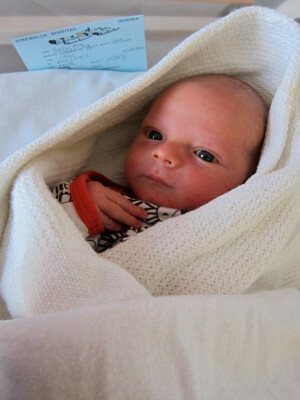 Ansel weighed 8 lb 14 oz and was born on April 24, 2013. Love the fanfare! Quite a name. He is beautiful. Thanks grandpa! I dig it! How precocious! Only 9 days old and viewing the web and stealing his father’s e-mail address. Thanks & congratulations Derek and Kat. We could not be prouder of Ansel and your little family in Scotland. Congrats to both of you. How many is this? We’re still waiting. Take care. It’s good to hear from you. Ansel is our second grandson. 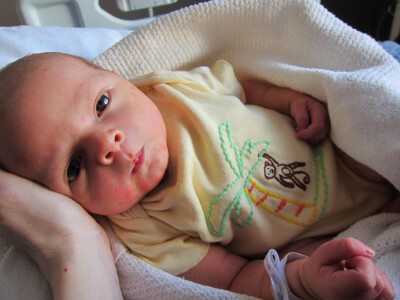 The first, Charlie was born just a few months ago in December 2012. Having grandchildren is a great experience. He is so beautiful, Congratulations to all. I go to see every day a few sites and sites to read articles, except this blog offers quality based posts.